Our ADR & VO studios with Source Connect Pro, ISDN, Skype & Phone Patches | Reliable and Experienced Engineers | Secure On Site Parking. 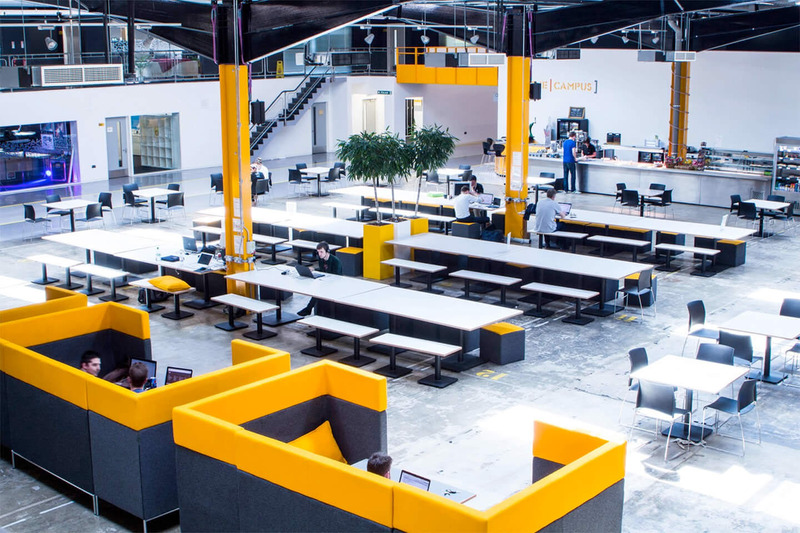 We’re located in The Sharp Project, a hive of productivity where digital tech and media start-ups rub shoulders with major TV and advertising productions. 10 mins by tram from the city centre’s hotels, shops and restaurants. Free secure car parking, café bar, showers, alongside 80 Hertz’s own kitchen, you’ll be comfortable as you work! 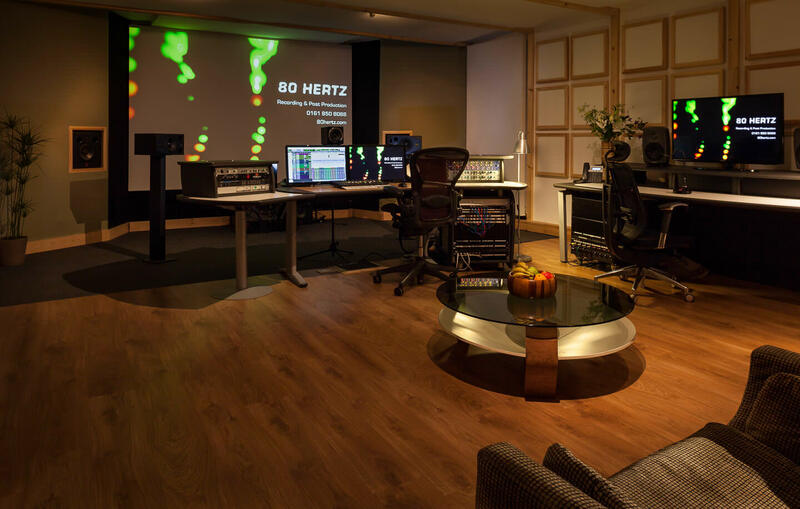 80 Hertz is an independent studio designed from the ground up for current hybrid music & post production audio workflows. Based at ‘The Sharp Project’s’ & adding to it’s broad strategy, resulting in a marvellous convergence of connectivity, flexibility and technology – staffed by highly experienced producer / engineers. For more info on our ISDN & Source Connect Pro equipped ADR Sound Stages, please see here and our Voice Over studios here. From the dead sound of the drum booth to the magnificent 28ft high-ceilinged, 1000-square-foot live room, we can provide you with the optimum creative space. 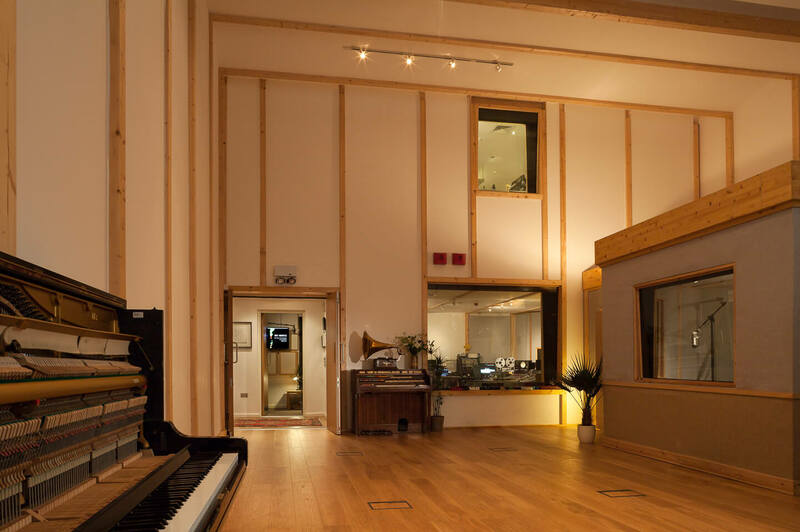 Bespoke recording and post production studios with stunning acoustics. 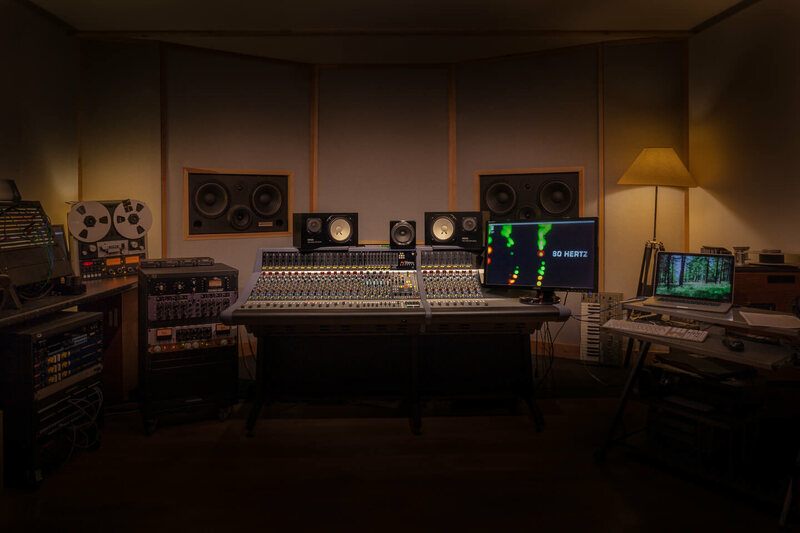 We’ve filled the studios with technology sympathetic to a modern workflow, such as the likes of a Neve Genesys hybrid mixing console, along with a fine collection of mics! But it’s not all new tech; we’ve a growing collection of vintage and analogue gear – amps, pedals and reel-to-reels – for those seeking an authentic vintage sound.